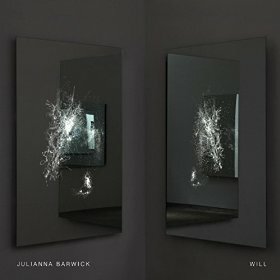 Paring down sounds to their essence, composer and sonic soothsayer Barwick lays a gentle hand to serene streams feeding ethereal spirituals through soft pliable hives buzzing in warm swarms. Passive, aqueous chorals plopped, plucked and massaged into captivating fabric, “Will,” blankets the listener in piano raindrops and synthesizer jellyfish, luminous blooms swallowing evolving colonies. Gathering diaphanous gasps voicing wordless hurts, Barwick blurs lines designing chromatic chakras into tonal sonar warbling in secular spectacle and interstellar telepathy. Expanding organic fantasies lift celestial vessels in radiant patience as unseen depths beckon bell-jar avatars to bubble in subtle synergy; methodical oddities suspended in heaven, heaving, breathing and rippling with sophisticated instincts. Julianna plays Madison’s The Frequency June 20th along with cyber-symphonic conjurer Mas Ysa and electro-master Cap Alan.